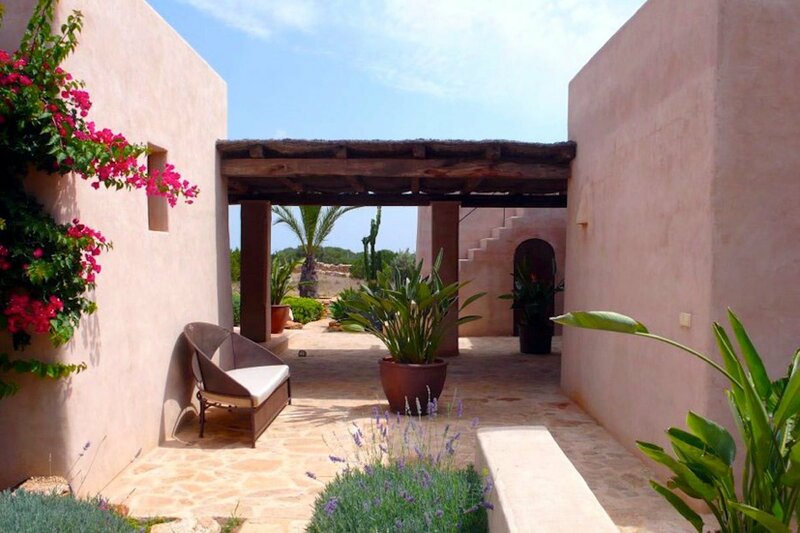 A long gravel road leads up to the villa Formentera rent, a large property, which enjoys a special privacy, as it is located on a plot of about 10,000 square meters (approx. 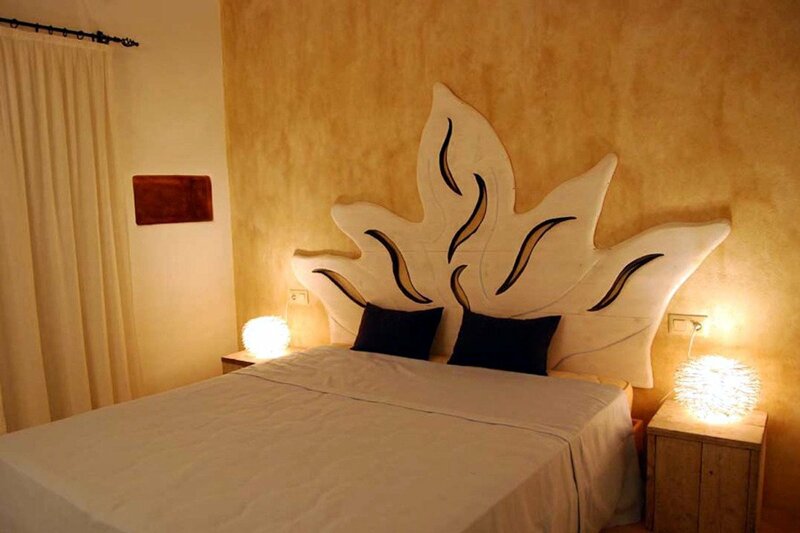 2.5 acres), where there are no other houses nearby that may disturb the guests privacy, which is very important. 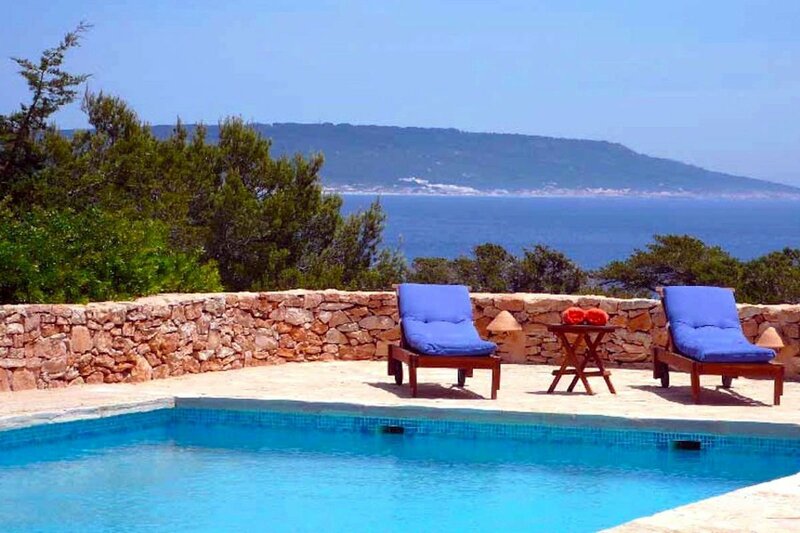 The villa Formentera rent has a warm color, almost hidden among the Mediterranean greenery, and it is accessible by a large outdoor area which can be used as a parking. 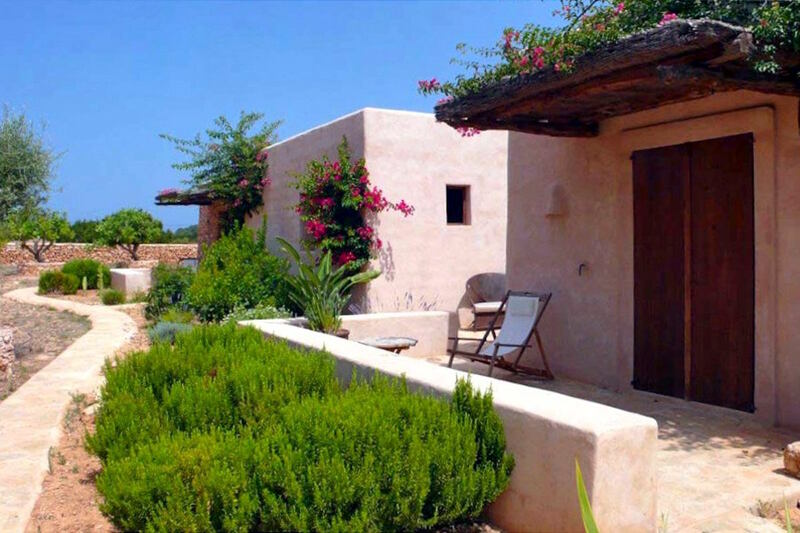 From there you immediately perceive the important dimensions of the house, that welcomes guests with a beautiful courtyard rich in colorful flowers. 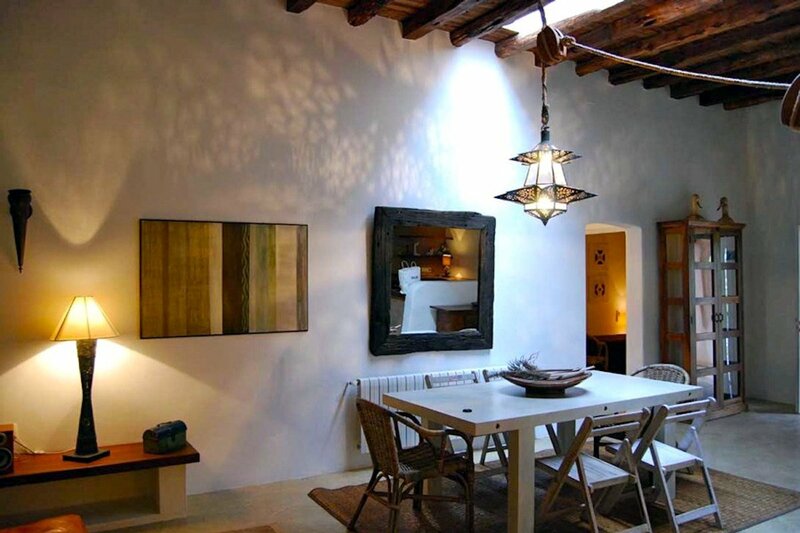 The villa Formentera rent is accessed through large sliding doors to a large open environment that incorporates the living room, which can be considered the heart of the residence, the dining room and the kitchen, which is fully equipped with all modern equipment. 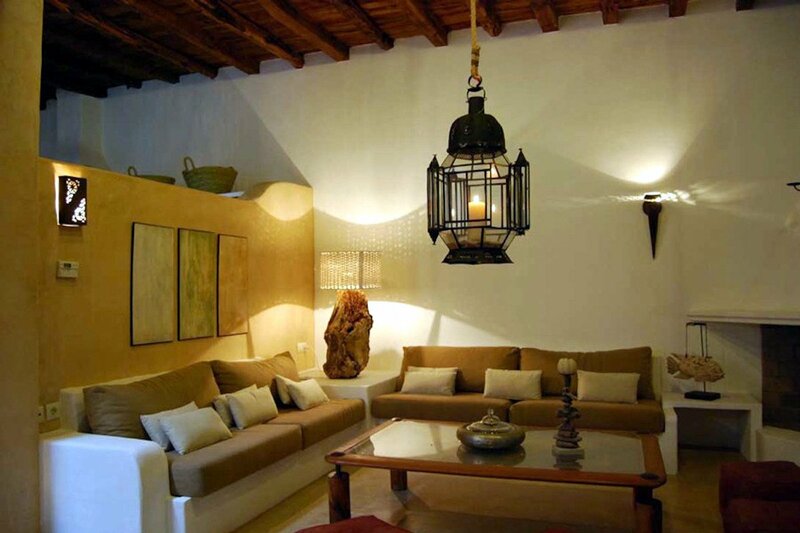 The touch of a famous designer is evident in the architectural details of the villa Formentera for rent and its furniture with a strong impact, such as the large lamp in a Moroccan style that dominates the living. 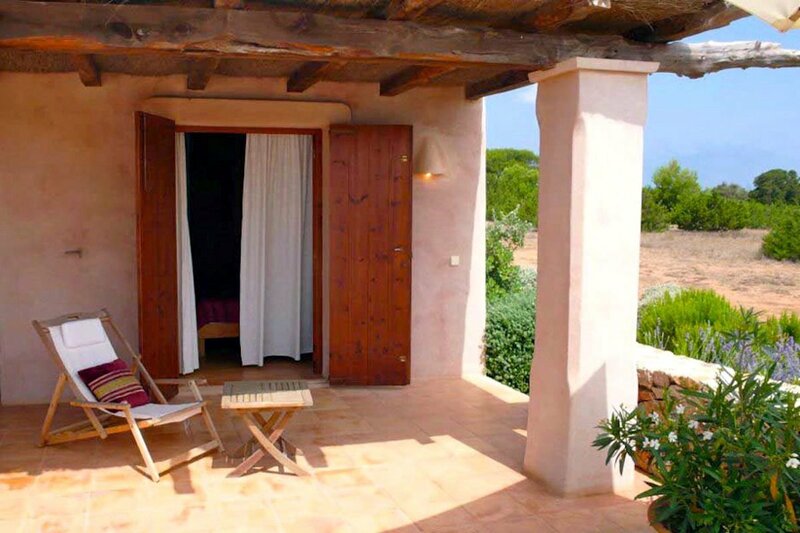 In the villa Formentera for rent there are 4 comfortable rooms with bath, 2 with direct access to the rear of the villa and 2 overlooking the pool area. 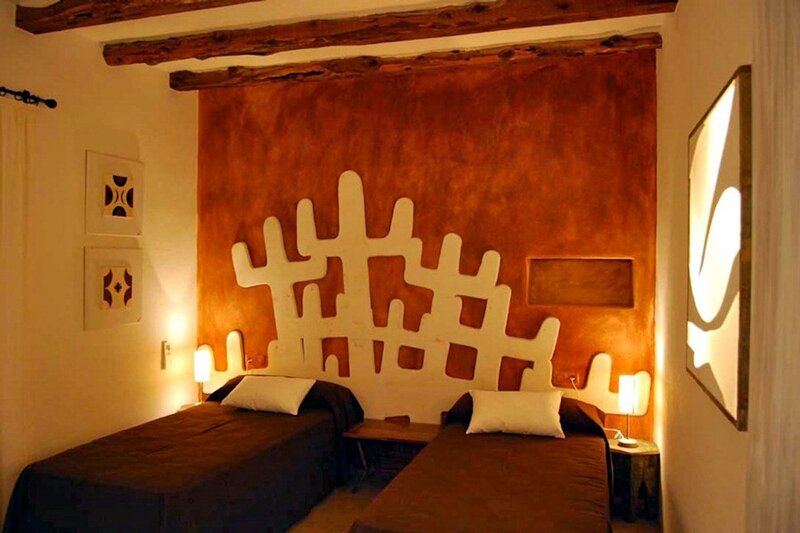 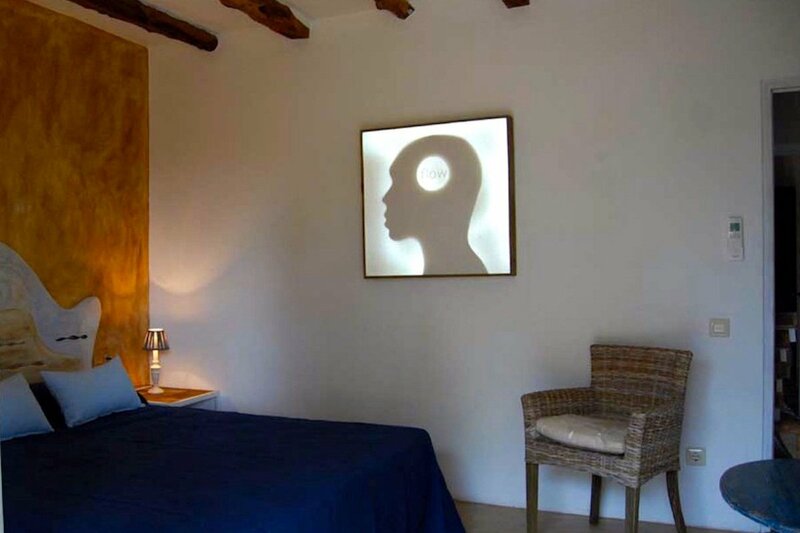 Each room of the villa Formentera for rent is characterized by the presence of a different bed from the other, with special colored heads by a local artist. 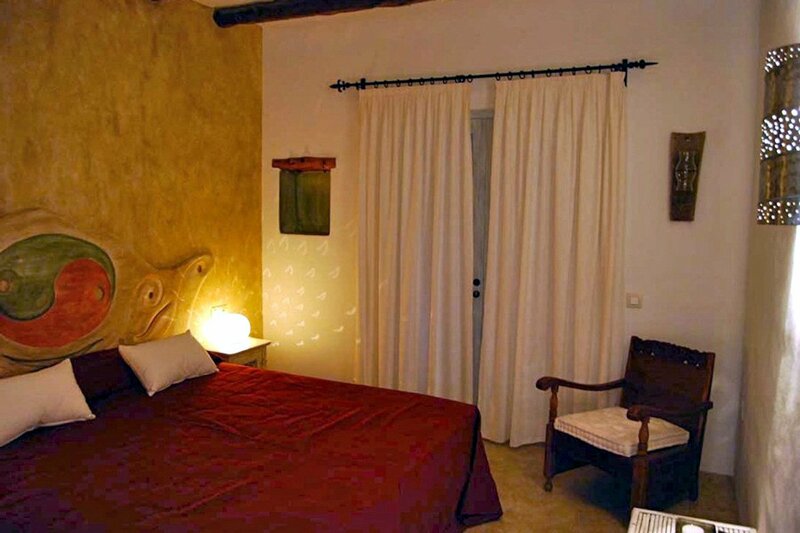 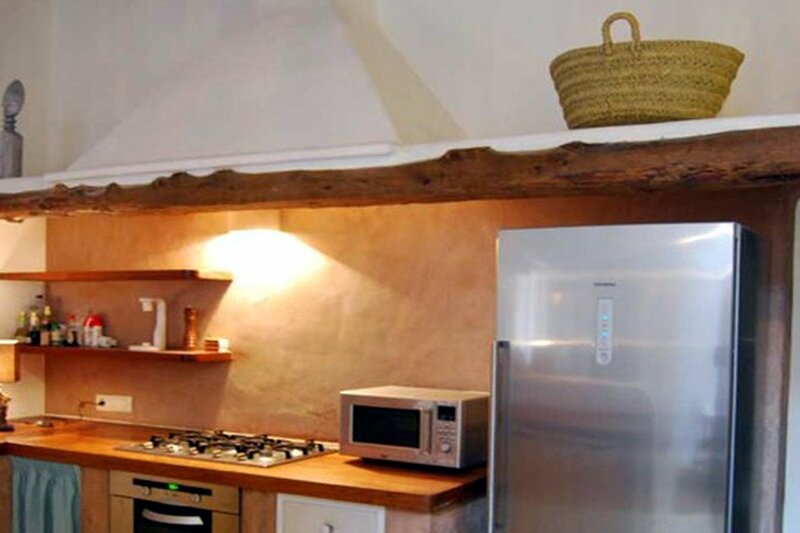 The separate guest house of the villa Formentera for rent has 2 double bedrooms and 1 bathroom, which offers the same quality level of the main building and it can be both used by guests or by the service staff. 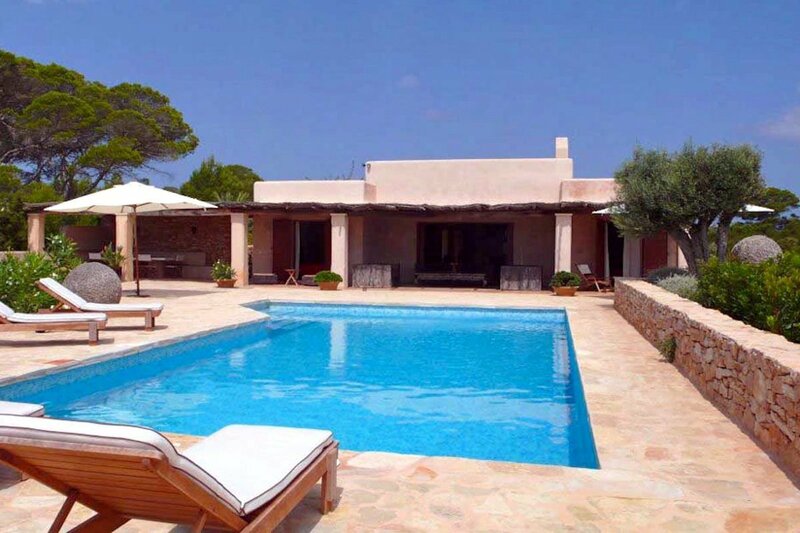 Large sliding doors lead from the living area to the outside patio, which hosts the large swimming pool, the vital center of this villa Formentera for rent. 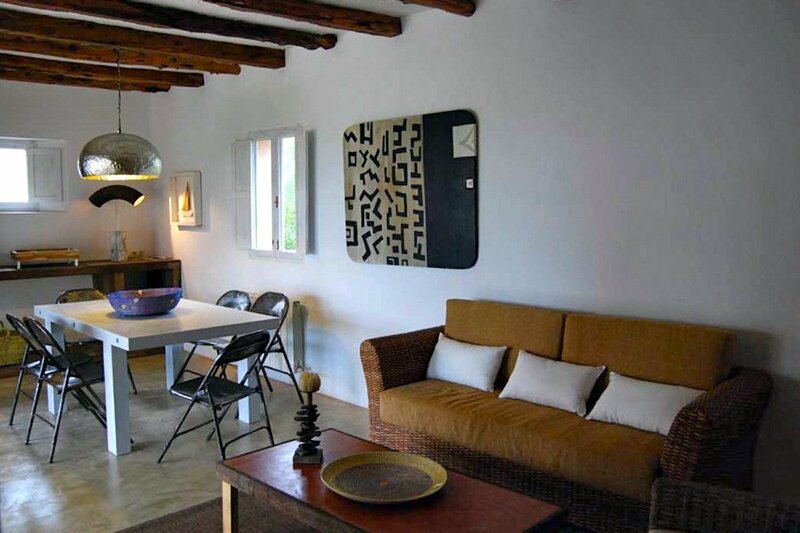 The living area of the villa Formentera for rent has a generous size and is completely hidden from from the outside. 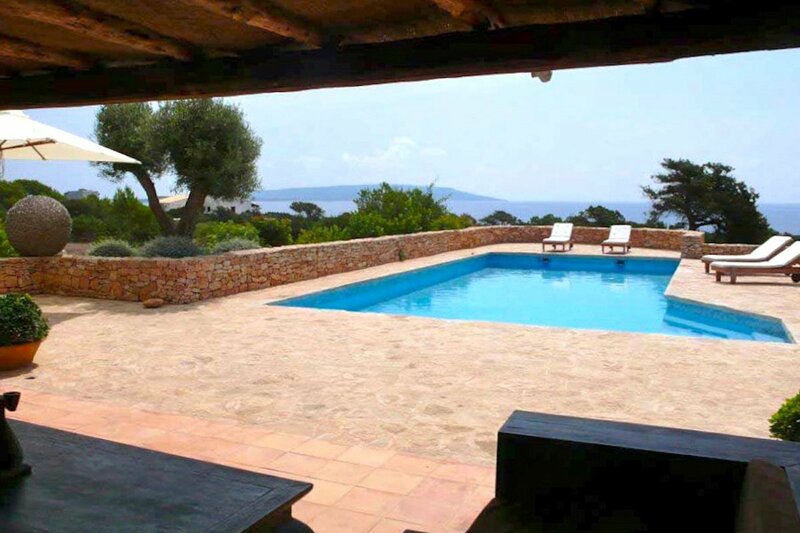 The living room offers undoubtedly the inspiration for relaxation and entertainment, lunches, dinners, private parties and cocktails with pleasant views of the sea in distance. 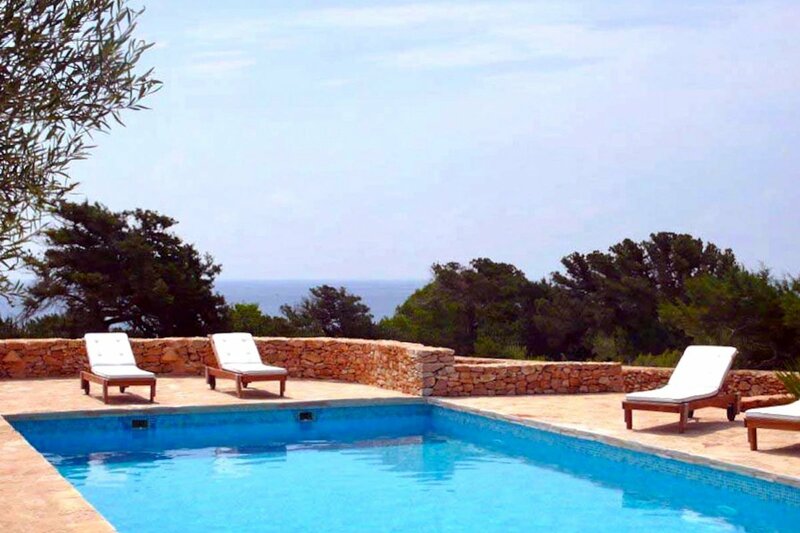 The villa Formentera for rent is one of the most important properties of the island, both in terms of size and overall quality, and is recommended for families or groups of friends in search of an informal accommodation, surrounded by every comfort and complete privacy.